Royalty-free stock illustration of a young girl swimming in the ocean during summer. 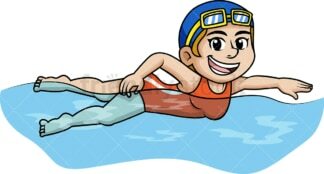 Royalty-free stock illustration of a young girl wearing a mask and holding her breath as she swims underwater. Royalty-free stock illustration of an excited girl jumping in a pool from a springboard. 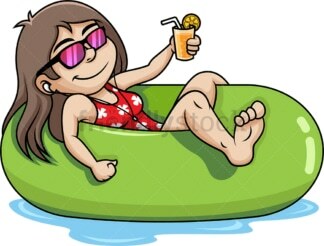 Royalty-free stock illustration of a young girl relaxing in the pool in an inflatable float while listening to music and holding a soft drink. Royalty-free stock illustration of a young blonde girl in a bikini, during summer, sitting on a beach chair under an umbrella to protect herself from the sun. Royalty-free stock illustration of a girl resting in a hammock that is strapped on tropical trees, enjoying a soft drink during summer. 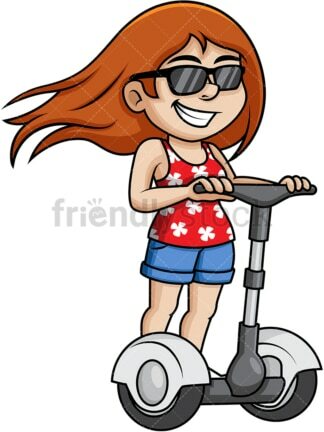 Royalty-free stock illustration of a girl with sunglasses on a segway, grinning and looking happy as she explores the place with style. Royalty-free stock illustration of a young girl with red skin from the sun, applying sunscreen and looking like she is in pain, feeling uncomfortable. 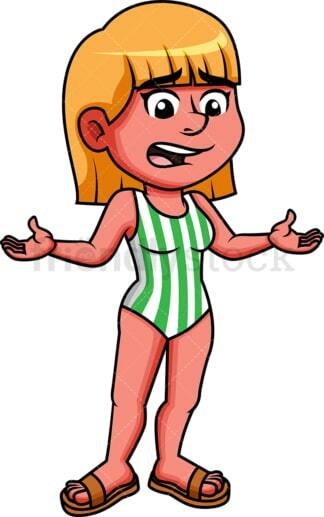 Royalty-free stock illustration of a girl with red skin from a sun burn, looking uncomfortable and in pain while on the beach during summer holidays.